Your GSZ14 & AWUF will provide reliable heating & cooling for years to come. With the new GSZ14 / AWUF wall mount design, this system meets the new 2015 EPA laws. 1.5 & 2.0 ton Wall Mount Air Handlers will convert to side or bottom return. 2.5 & 3.0 tons are side return ONLY. 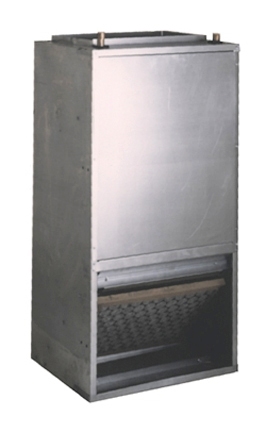 The Goodman AWUF Air Handler is designed to be vertically wall- or stud-mounted. 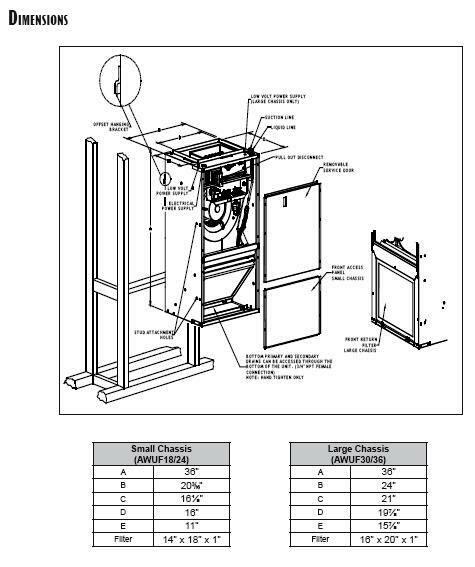 This unit is housed in a fully insulated, galvanized-steel cabinet.